They shivered in Brittany, sizzled in the Vendée and got soaked in the Dordogne; Dave and Liz King tell of their recent trip to France. We drove onto the Brittany Ferries cruise ferry in Portsmouth in overcast weather and drove off at St Malo the following morning in sunshine. We pitched the caravan in the sunshine on our first site and sat and had lunch outside, listening to the cuckoo before popping out for the afternoon. It was “sunglasses and fleeces” weather so we didn’t unpack the BBQ but cooked and ate in the caravan that evening. After three cold days and nights we headed south to the Vendée in mild weather and sun; the D50 across La Grande-Brière was a pretty route and the crossing over the Loire river on the St-Nazaire bridge was magnificent. 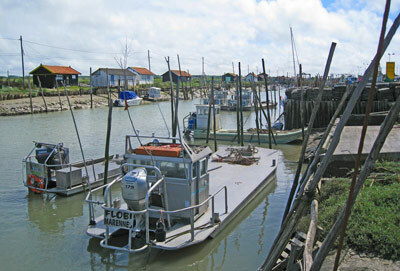 We stayed in the Vendée for two sunny weeks and had consistently high temperatures; it was 32°C at La Tranche-sur-Mer as we strolled round. We visited St Gilles Croix de Vie only days after the start of the Vendée to Saint Petersburg yacht race and the town was still dressed with flags, and we ate Moules cooked in Roquefort sauce for lunch in the sunshine. Our visit to Charente-Maritime was short and wet, but the sun shone briefly for us in Royan, so we headed east towards the Dordogne and it poured with rain just as we were setting up and we got very wet. We stayed for four nights and we did enjoy our visit to the weekly market at Piégut-Pluviers; it was hard to hear a French voice and we hadn’t realised that we needed to book lunch at a restaurant in the area on market day but at least the sun shone. We had a birthday dinner instead! We headed south into the Lot, and stayed for a week enjoying friends’ company, and then it was time to think about heading northwards. 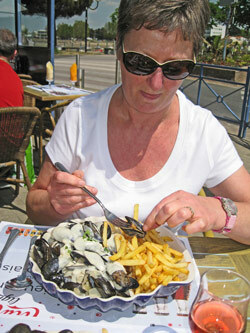 We stopped for three nights in the Dordogne to meet friends and then moved to the Loire for a week where the sun shone. Our journey covered over 2000 miles, towing and solo with less than 200 miles on autoroutes and despite the bad weather in France this winter, there wasn’t a pothole to be seen, just smooth road surfaces and little traffic. We paid around €1.1 per litre for diesel (that’s less than £1.00) and petrol was around €1.23 per litre. 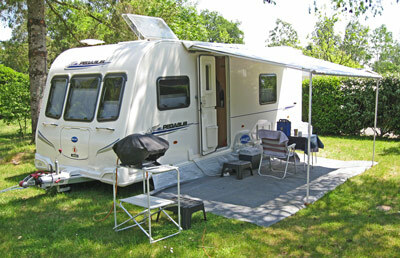 Site prices varied but we made the most of low season prices and special offers like Camping Cheque. We returned on Brittany Ferries crossing from Caen to Portsmouth and arrived in sunshine; we knew we were back in Blighty – yes the potholes! We took a very early prototype of a new Bailey caravan. Look out for it on dealers’ forecourts from 1st September or see it at NEC in October at the International Caravan and Motorhome Show on the Bailey stand in Hall 18, stand 15-18. 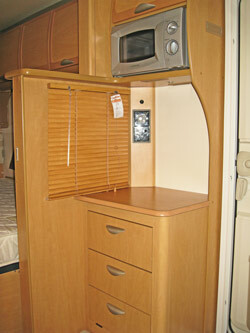 A sneak peek at the new Bailey caravan. 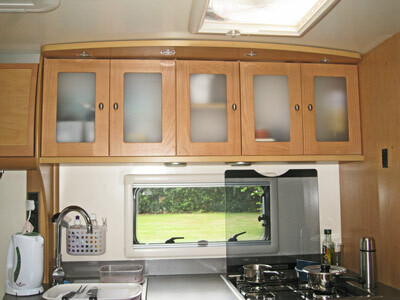 The wood finish will be changed but how about this for a kitchen? 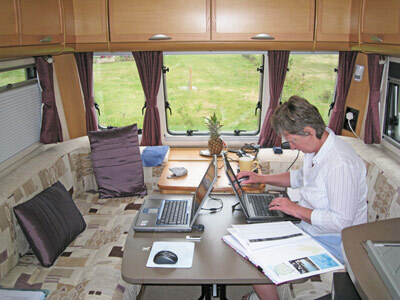 Watch the Caravan Guard website over the next few months for information on the sites Dave and Liz stayed on during their trip. That is the area we go to and love it. Unfortunately we did May last 2010 and it was cold and wet but we still enjoyed it. Going June 2011 hoping it will be warmer and we wont have to have our coats zipped up to our ears.